When having a discussion about mixing, you obviously need to talk about the monitoring environment. Studio monitors, the acoustics of the room, acoustic treatment, monitor isolation pads, monitor placement, distance from the monitors, etc. We would hopefully all agree that being able to accurately hear what’s going on in the mix is very important. However, there’s no one-size-fits-all solution for everyone. An amazing pair of expensive studio monitors won’t sound all that great if the room isn’t treated. I was having a discussion recently on the HSC Facebook page, or maybe it was here on the blog, about mixing with headphones. Is it acceptable? Is it wrong to mix on headphones? The only thing that matters is if your mixes sound good. If you get good mixes with headphones. There’s your answer. I’ve got a fairly decent set of studio monitors in a fairly decent-sounding room, but lately I’ve been doing a lot of mixing on my Sennheiser HD650 headphones. These are high-end headphones with a lot of clarity and detail. I’ve found that my mixes have no problems translating to other systems when I mix them using these headphones. I’ll post a review of these headphones tomorrow, but for today, check out this article I wrote a while back: Headphones: To Mix or Not To Mix. In that article I spell out the pros and cons of mixing with headphones. Go check it out and let me know what you think. 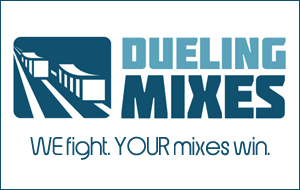 In case you missed it, MixWithUs.com is re-opening for new members on Monday. Are you joining?